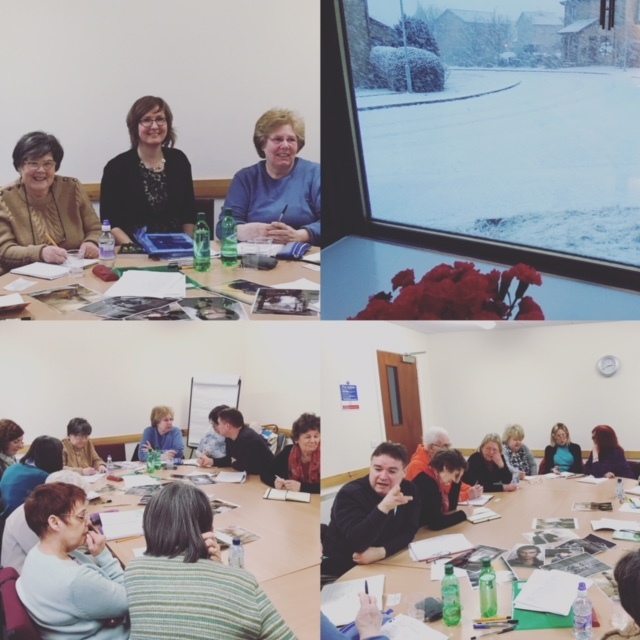 Earlier this week I visited Erskine Writers group to deliver a creative writing workshop about Young Adult fiction. 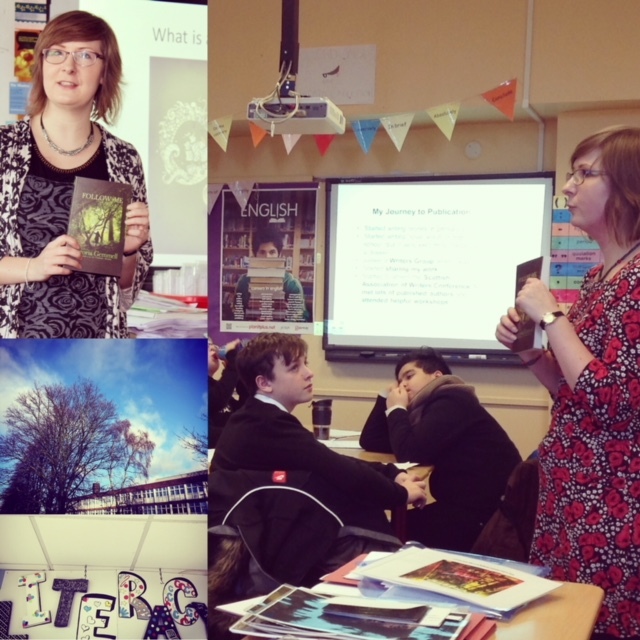 I spent the first hour talking about YA fiction: what is it, who reads it, why do I enjoy writing it? Then I got the group to try a story-building exercise – focusing on characters and their motivations, creating a setting and other aspects, that could fit well with a YA story. The group came up with fantastic ideas and it was great to link all of them together and see a captivating story, set in an abandoned theme park, start to form. The group are going to be writing the first 1,000 words of a YA novel for a competition, that I get to adjudicate. I’m really looking forward to reading the entries! Thankfully the ‘Beast from the East’ waited for me to return home before attacking. It meant a lot to me returning to Erskine Writers as I joined this group when I was 17. A lot of the writers here supported me and built my confidence when I was just starting out. At the evening group we often had authors along as guest speakers and I used to hang on to their every word, hoping that one day I could be telling my story too. When I was preparing for this workshop I asked myself the question, ‘Why do I enjoy writing Young Adult fiction?’ For me, I enjoy the scope of emotion. Teenagers live in their own world to an extent. They are on the brink of adulthood but don’t quite have the freedom or authority to fully enter the adult world. And yet they can be presented with very adult situations, (breakdown of their family unit, bereavement, exploitation, just to name a few). They have passionate opinions yet can feel ignored or don’t know where to find their audience. Everything is heightened. There is a lot of potential for deep emotion, tension, of ‘finding oneself’ and going on a bit of a personal journey. I think there is more scope for your teen protagonist to be led by their heart and potentially find themselves in difficult situations as a result. I like to give my characters a sense of feeling empowered, by taking control. In Follow Me and my new book (as yet untitled), my protagonists find themselves at the centre of a mystery, searching for truth. The adults in my books are in some ways the villains by their inability to see beyond the obvious or by not taking the time to seek out the truth, or by their absence in the teens’ lives. When I think of my ‘teen’ audience I think of them only in terms of wanting to give them a voice (ie. I don’t try to second-guess what they think is cool, or what is on trend. Ultimately I am writing stories I want to read myself.). Often as my characters develop in the story I am conscious of wanting teenagers to see that it’s okay to feel a bit lost and feel a bit on the outskirts of life, and hopefully offer some reassurance by exploring some sensitive issues. When I write my characters I’m ultimately tapping in to my inner teenager. (And I don’t mean the teenage version of me either when I say this, as my characters are much cooler than I ever was when I was 17 – which was a long time ago). I really try to put myself in their shoes, as we always do as writers, and think back to when I was 17 and how I might react if certain situations occurred. The brilliant thing about Young Adult fiction is that I think these books very much have a universal audience in terms of who might pick up and read your work. From personal experience I know I’ve had 12 year olds enjoy ‘Follow Me’ just as much as their parents, (sometimes grandparents too!). 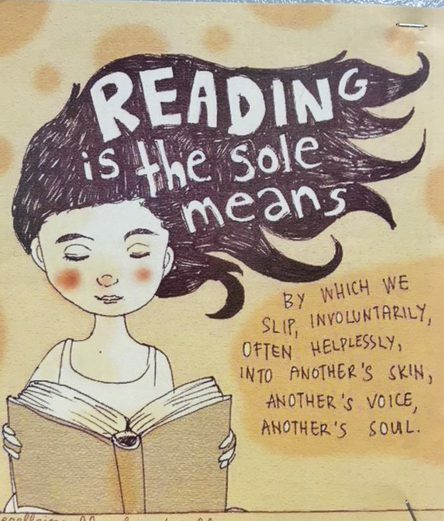 And that’s ultimately what every writer wants really – for your work to be read widely! 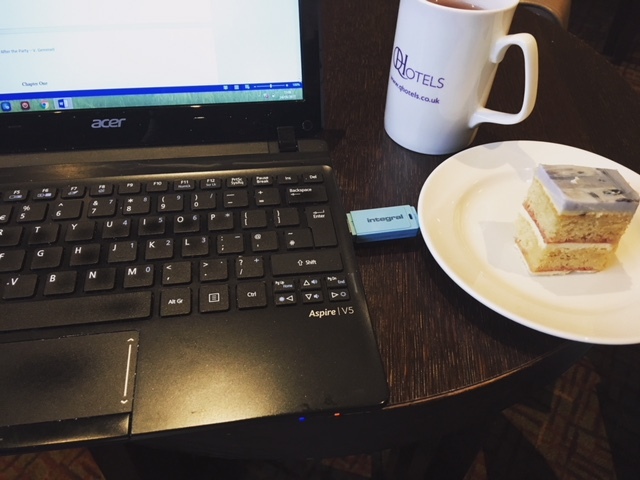 As well as preparing workshops, and working hard at my day job the past couple of months, my big focus has been on EDITS, EDITS, EDITS for book 2. 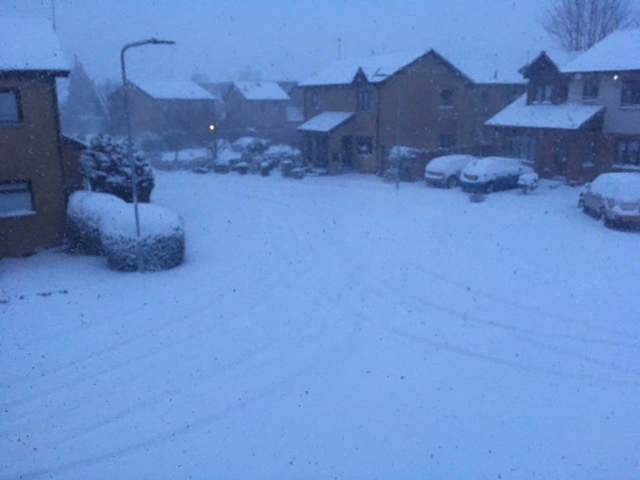 The ‘real world’ slowed down due to the heavy snow, and my ‘writing world’ sped up allowing me to hanker down in the evenings, for hours on end to work on my changes. I’ve now sent these through to my publisher and await more feedback. Hopefully there will be more exciting news on that front later in the year. Bye for now. Keep warm! I always leave these sessions buzzing as they wake up my creativity too, and it reminds me of the fun you can have with images and letting your imagination run wild. I’m hoping over the Christmas holidays I can make a big dent in the first section of my third book. I’m really excited about the idea and can’t wait to get on with it. I don’t want to say too much about it just now, but it will be another dark story, with teenagers at the centre of it all. 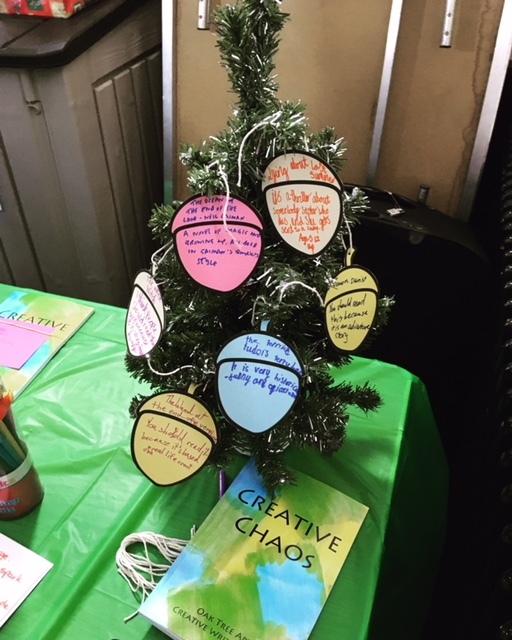 Last Saturday I attended the launch of the Oak Tree Arts young writers book, ‘Creative Chaos’, which includes the winning entries from the poetry competition I helped to judge. It was great hearing the winners read out their work to an audience of parents and friends. I loved the fact the woman who runs the group, Sue, asked them to write their favorite books on decorations to hang on their tree. A picture of this and the book is below. You can check out the Oak Tree Arts website here They meet every Saturday at Abbey Books in Paisley and Sue does a lot to encourage young writers. 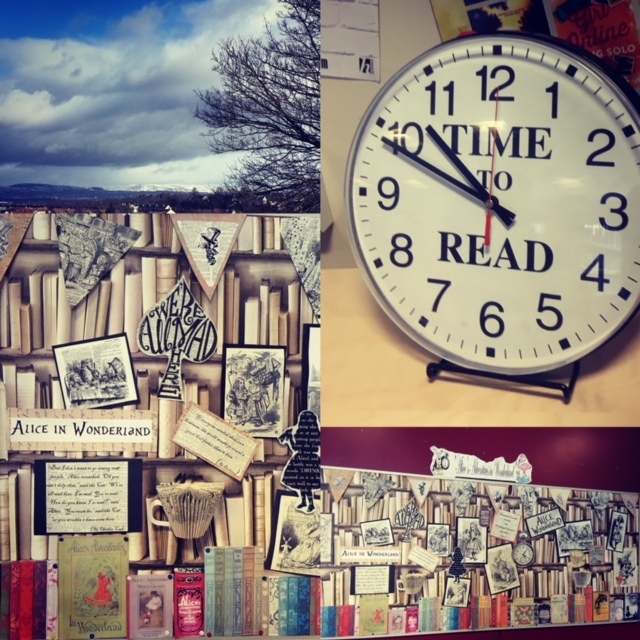 Last week was Book Week Scotland. 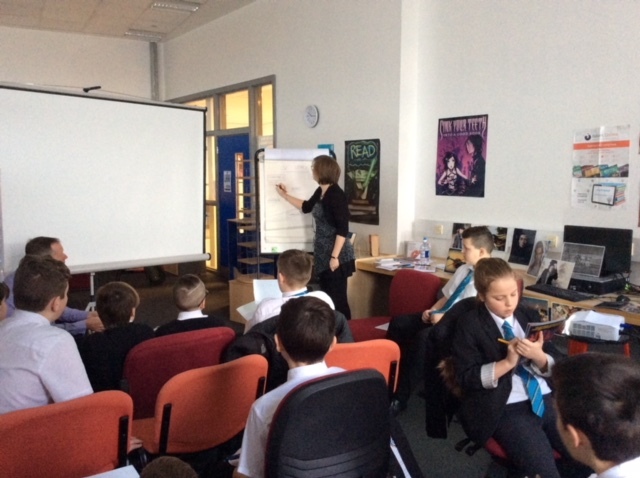 I was asked to deliver some creative writing workshops in Renfrewshire schools as part of their Attainment Challenge and it was great that these took place during a week which celebrates books and reading. 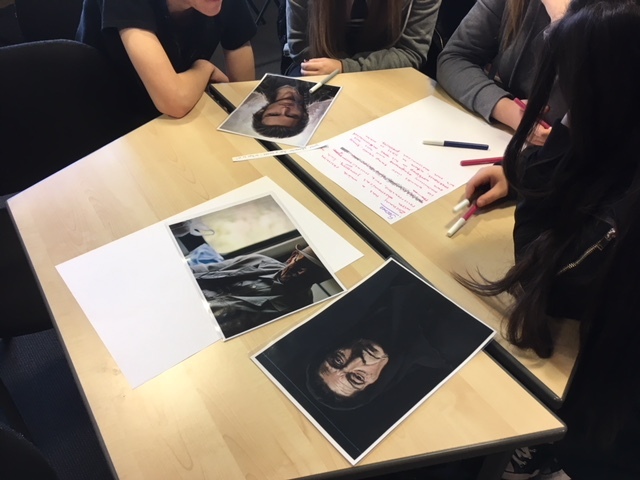 By the end of my story-building workshops in Linwood High, St Andrew’s Academy and Castlehead I was left in awe of some of the imaginative ideas flowing around the room. I’m hoping the pupils expand on stories which contained magic dice, a character who was tall but ‘small inside as she didn’t have any friends’, a girl with a love-heart birth mark on her nose, a magic bridge which took characters into another dimension and a haunted graveyard, abandoned carnival and a house with magic mirrors. There was a brilliant mixture of horror and humour; each group created aspects of a story I was dying to read. 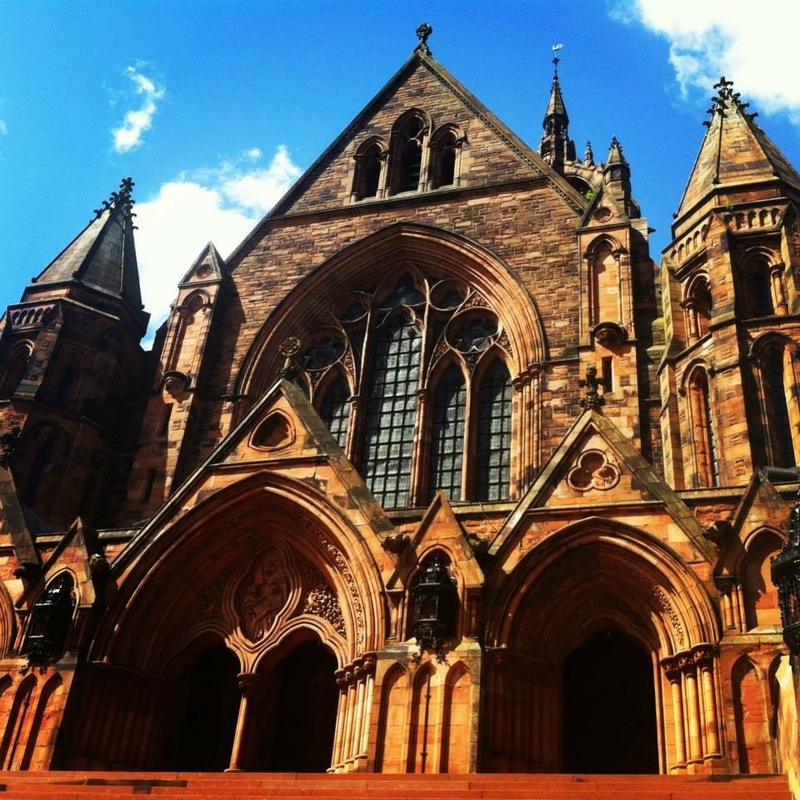 This Thursday my hometown Paisley will find out if they have won the bid for the UK City of Culture 2021. 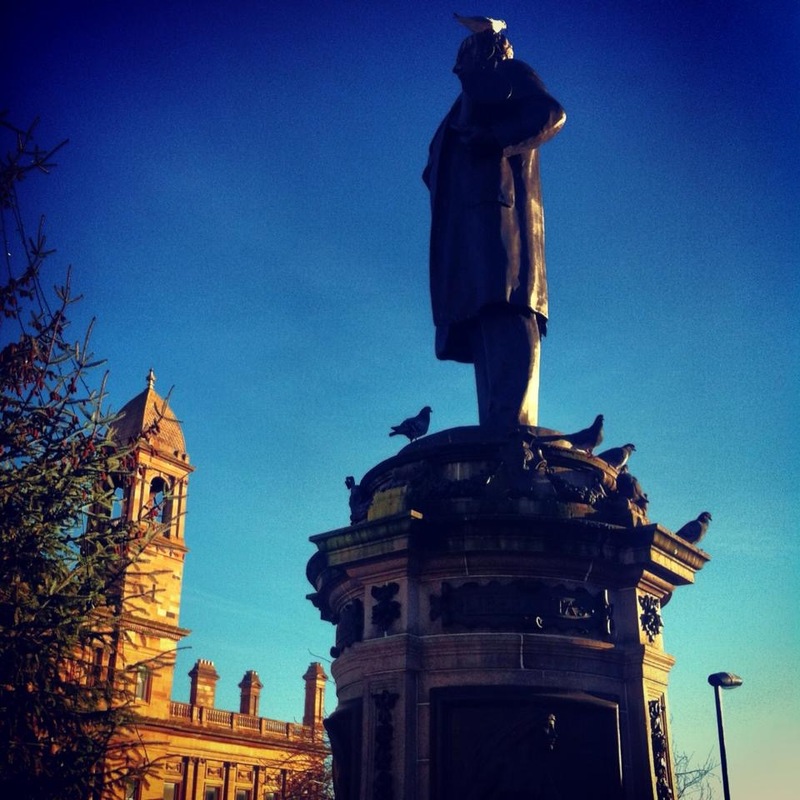 Over the past year the town has fully embraced the bid, with an extra buzz in the air and some interesting art projects and cultural events popping up. There has been a real celebration of the creativity and talent amongst locals and over the past few months I have met lots of local writers, artists and musicians, all passionate about giving back to the community. From the imagination and enthusiasm I saw in classrooms the past week it’s obvious that young people want to be challenged and I think it’s important they are given the opportunity to explore learning in a variety of supportive and interactive forums which encourage creative thinking. 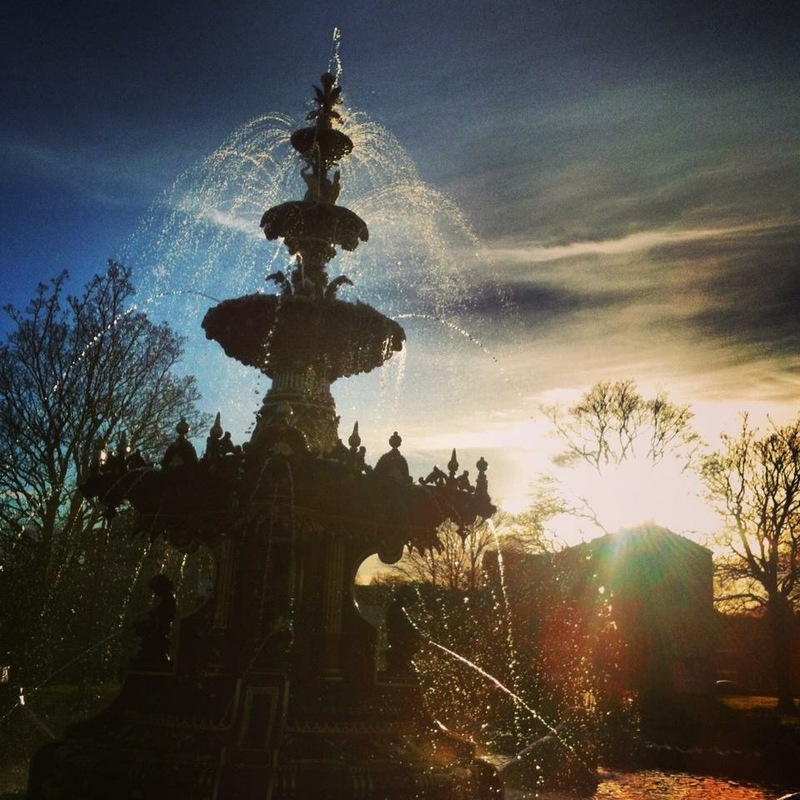 I’m really hoping that Paisley do win the bid so that more funding is given to the town, (which will also benefit surrounding areas), opening up the potential for more projects to engage and encourage young people (and adults) to develop their talents. The last couple of months have been busy for me. I moved to a new office in my day job, after a year in a promoted post, in August. In August I also had a fun day out in Edinburgh with fabulous authors such as Kirkland Ciccone, Alex Nye and Roy Gill. We got to spend some time in the Author Yurt at the Edinburgh Book Festival, (thanks to Kirkland’s VIP pass), where we drank lots of tea and ate lots of crisps (authors live really glamorous lives you know). I had to get a photo beside my books in the Festival shop, before then heading off to the fabulous ‘Teen Titles’ party at Central library. Below is a snapshot of my interview in the Teen Titles magazine, alongside a photo of me at the party! 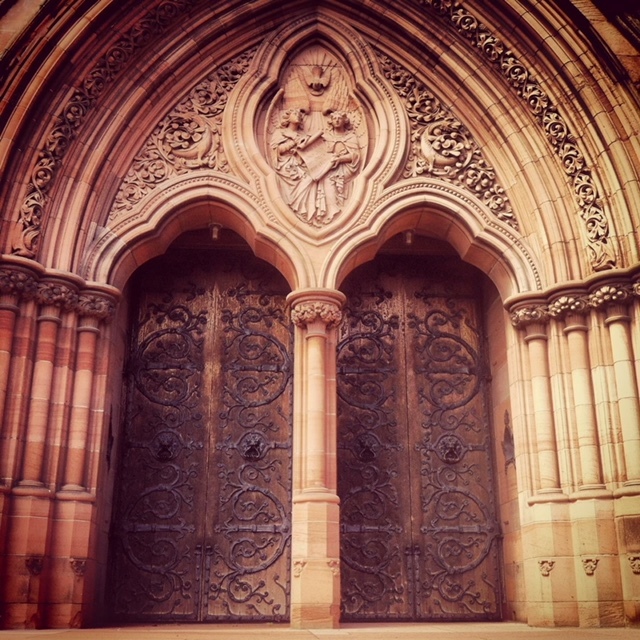 In September I managed to escape to beautiful Barcelona for a few days of sunshine, and during the September weekend I attended the inspirational Society of Authors weekend, titled ScotsWrite, at the Westerwood Hotel in Cumbernauld. 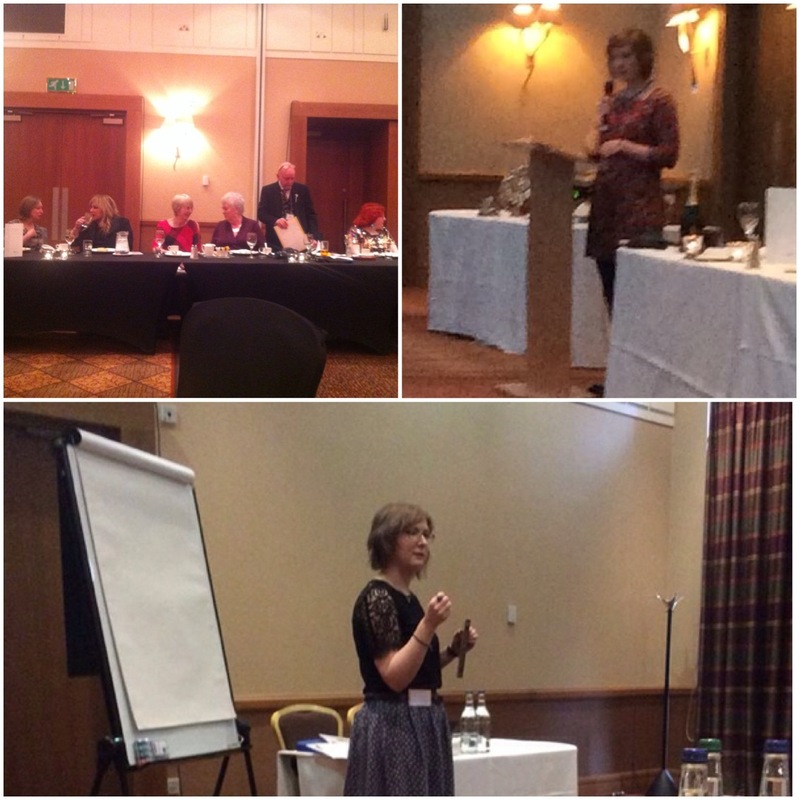 Famous authors such as Joanne Harris, Jane Johnson and Denise Mina delivered key note speeches and helpful workshops. I loved the fact that even after penning loads of books they all still feel a sense of ‘self-doubt’ when it comes to writing. One of my favourite quotes from the weekend was during Joanne’s talk where she said, “Playing with words is the closest thing to magic we can do. It’s voodoo.” I think this is a beautiful way to describe writing; when a piece of work starts to flow and come together, it does feel like magic. And both Joanne and Jane spoke about the journeys their writing has taken them on, the people they have met along the way, the way their words have led them on adventures and touched different lives. Something which came across was the sheer power that words can have. It reminded me why I write – I want to be part of that magic, of weaving stories into the fabric of the world, even if that world is one built within my own imagination! The five ‘Ws’ – asking important questions – was a technique I remember being taught in English in school, when we were writing journalistic style reports, and when we were attempting to write creative stories, to give a structure and a framework. When a story is forming in my mind these ‘Ws’ spin around and intertwine as the characters and plot all come together. A couple of months ago I was on holiday in Paris and I donated a copy of Follow Me to one of my all time favourite bookshops, Shakespeare and Co. This is a picture below of the newly added cafe, which is next door to the bookshop. (The bookshop was very busy, so it was difficult to get a good picture outside which didn’t include a crowd of tourists…). 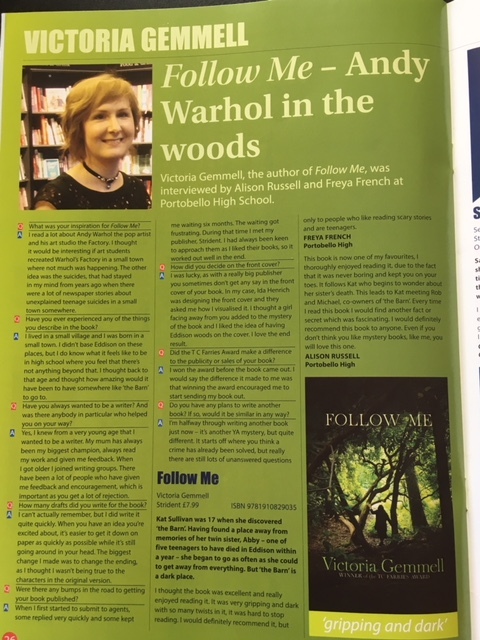 A few weeks ago the librarian from Clydebank High, (where I visited earlier in the year), very kindly emailed me a couple of comments from members of the school Book Group, Scarlett and Lauren, who read Follow Me. Scarlett’s comment highlights the great thing about book groups, they get your book into the hands of readers who might never have thought it was something they would enjoy! 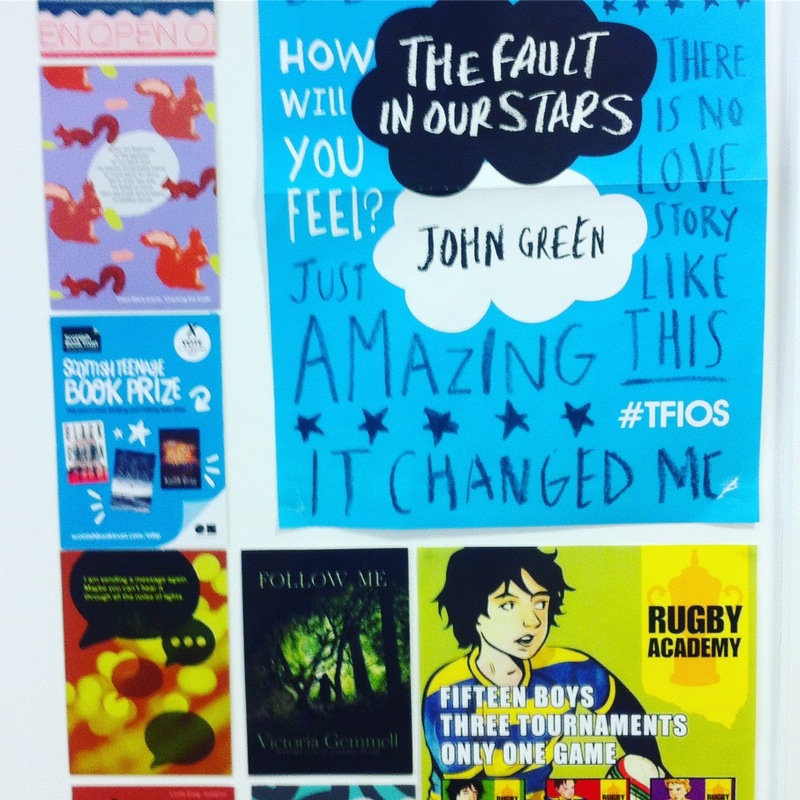 It’s always nice to know that pupils have taken the time to read my work after I have visited a school. Here are the comments below (with a slight edit to Lauren’s, so as not to give away too much about one of my characters…). 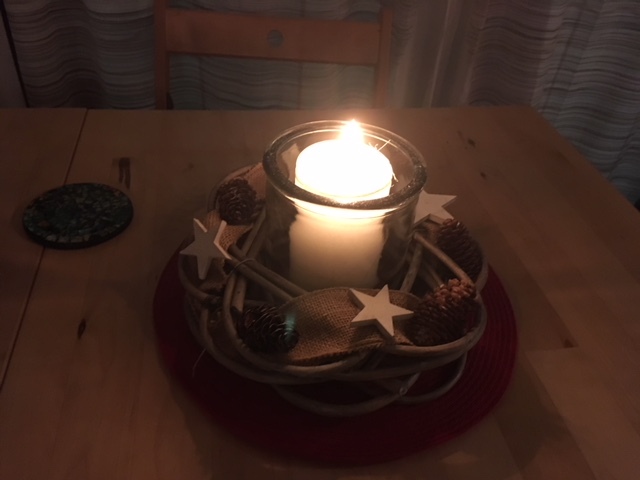 I’m going to finish this post with a link to an audio reading of one of my short stories, Only You, which was a runner up in the Weegie Wednesday short story competition. The story was read by an actress and recorded for broadcast on the Glasgow Hospital Broadcasting Service. You can listen here It’s nice to know that my words aren’t only read, but heard too. I loved the fact sound effects brought this particular story to life. 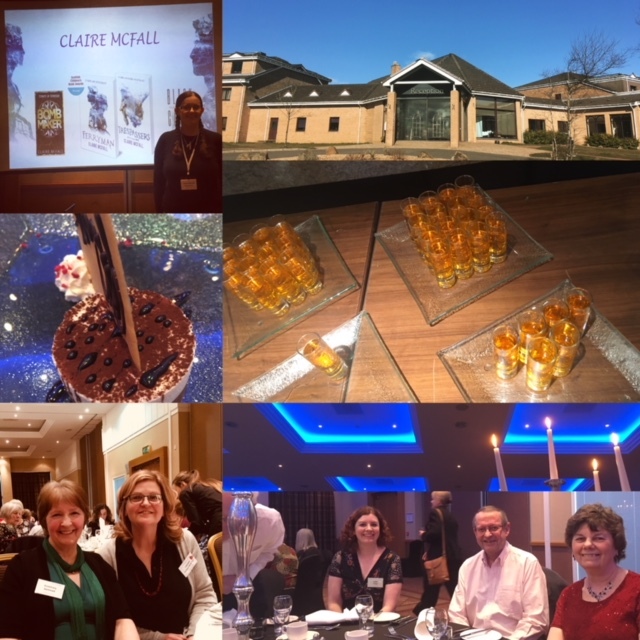 Last weekend I attended the Scottish Association of Writers Conference at the lovely Westerwood Hotel, in the outskirts of Cumbernauld. Writers Groups from all over Scotland attend and the weekend is jam packed with adjudications of writing competitions, workshops and our key note speaker this year after the Saturday Gala dinner was the hilarious comedienne Helen Lederer (who was so down to earth and lovely). This year was extra special for me as I was delivering my adjudication of the Short Story competition (aimed at 12-16 year olds), as I mentioned in my last post. I was first up on the Friday evening after dinner and it was quite a nerve wracking experience having to stand up to deliver a writing adjudication in a room packed with writers! It was brilliant to see the reaction of my placed entries and hear the winner read out her story beautifully. As the entries were anonymous I was delighted to hear some familiar names being called out when I announced the winning titles and pen names. I really enjoyed listening to the other brilliant adjudications from writers such as Keith Gray, Kirstin Zhang, Gill Hoffs, J. David Simons, Regi Claire, Michael Malone, Sheila Templeton, Myra Duffy, Ann Burnett and Sue Reid Sexton. 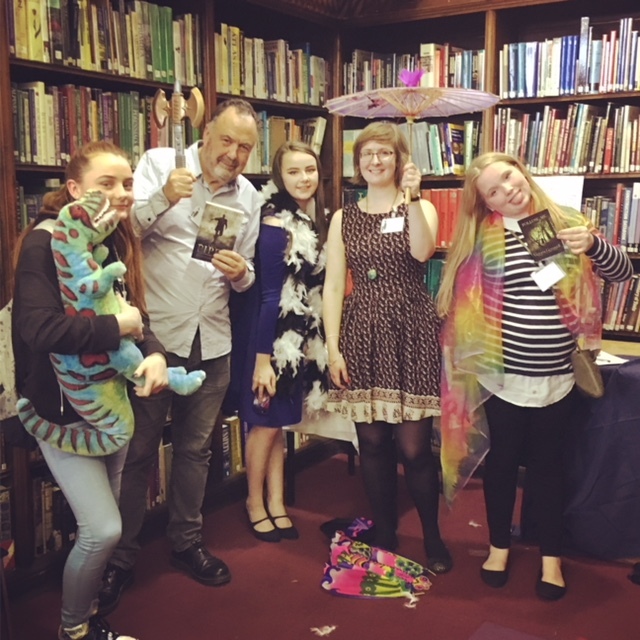 I also attended great workshops delivered by Keith Gray – another YA author, (He has written around 22 books! Amazing! Something for me to aspire to), and the Crime Writer Michael Malone. I found Michael’s workshop very reassuring, as like me he is not much of a planner when it comes to plots, so inevitably there comes a point in the book where you sometimes get a bit stuck, and panic and wonder what on earth your characters have in store for you next. It made me realise I need to stop being such a perfectionist with my second novel and to keep going and get it finished. On the Sunday morning I delivered a workshop called ‘Inspiration Everywhere’, talking about techniques and creative exercises I have used to generate ideas and inspiration, finishing off with a creative writing exercise where I got the group to ‘build’ stories. I loved the imaginative characters and settings everyone came up with – it was a brilliant way to end the weekend and left me keen to get home to get stuck back into writing. 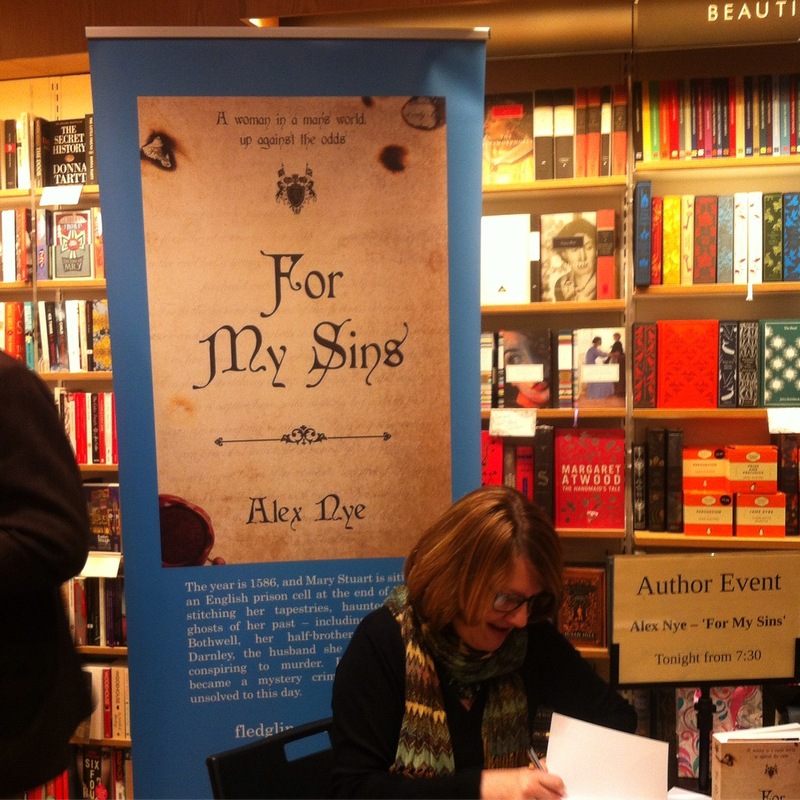 On Thursday evening I attended the launch of Alex Nye’s historical novel ‘For My Sins’ at the Byres Road Waterstones. Alex has written some brilliant books for children and I’m really looking forward to reading this historical novel about Mary Queen of Scots. A few people at the launch were saying how much they loved the cover, and I have to agree it is a great one! Tomorrow evening I have been invited to a launch of 2nd year stories at Inverclyde Academy where the brilliant author Cathy MacPhail has been a writer in residence. The librarian at the school kindly invited me along and I’m really looking forward to the event.